If you have good professional images, use them! 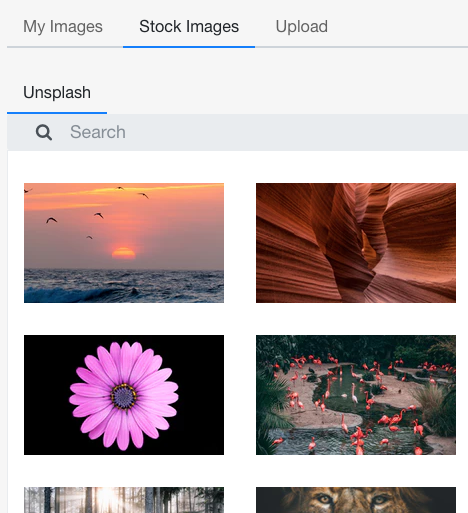 If you don’t, consider using the free Stock Photography feature included on the Image Chooser window. You will see a Plus and a Cross icon when you can use an image. Click the image you want to use. 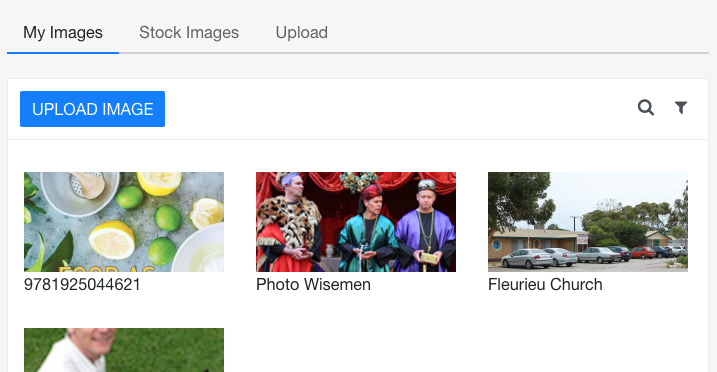 If using Stock Photography, attribution will be given on screen automatically, usually at the bottom right of the image, according to the licence agreement we have with the company.